Sprint users hoping to take advantage of the company's forthcoming 5G network now have a month to look forward to: May. At the MWC trade show in Barcelona Sprint announced Monday that it will turn on its next-generation wireless network in May with customers in Chicago, Atlanta, Dallas and Kansas City slated to be the first to get access to the 5G service. 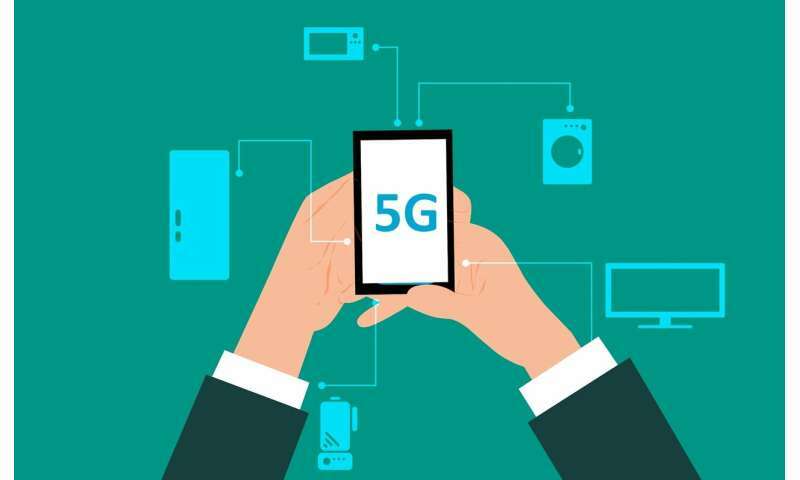 The company plans to launch 5G in Houston, Los Angeles, New York City, Phoenix and Washington during the first half of 2019. It's unclear how extensive the initial coverage will be in each of the launch cities. Sprint says that the New York launch will be focused on the "nearly 30 square miles covering Midtown and lower Manhattan" while the Dallas launch will cover "approximately 230 square miles spanning the greater Dallas Fort Worth area," suggesting that some cities will be better covered than others. With the May launch, Sprint joins AT&T as the first two U.S. carriers to turn on mobile 5G networks in the country. AT&T turned on its mobile 5G network in 12 cities late last year; but beyond a mobile hot spot, it has yet to release a 5G phone. On Sunday, Sprint and LG announced the first 5G phone for the new network, the LG V50 ThinQ 5G. Neither a release date nor pricing was announced for the device. But with the network slated to go live in May, it is possible that the 5G phone will be released around that time. Sprint will also carry Samsung's Galaxy S10 5G later this year, but no release date or price has been given. Verizon will get the Galaxy S10 5G first for its mobile 5G network, but its still not clear when Verizon will turn on its next-generation network. AT&T and T-Mobile will also carry the 5G Galaxy S10 this year. In addition to announcing its first 5G cities, Sprint also unveiled a new device from HTC called the HTC 5G Hub. Unlike the LG phone, the 5G Hub is designed to be placed inside your home as an alternative to broadband, functioning as a mobile hotspot that allows for up to 20 devices to connect and tap into Sprint's 5G network. With 5G's ability to offer faster speeds and lower latency, Sprint says this device can be used for not just streaming 4K content to a TV or connecting to the internet but also for playing games online. The ability to offer 5G as a legitimate alternative to home broadband is one of Sprint and T-Mobile's selling points to lawmakers to approve their pending $26-billion merger. The device also has a gigabit ethernet port for plugging in devices as well as a 5-inch screen. As with the LG phone, however, no exact pricing or release date was announced beyond a vague "this spring." "This Hub is like a 'Swiss Army Knife' with multiple tools that will quickly make it vital and versatile for connected homes and small businesses," Sprint CEO Michel Combes said in a news release. "It harnesses the speed of our upcoming 5G network to drive content sharing, gaming, entertainment and more." Carriers with real 5G service must have a cell site on every block first. Will Chicago, Atlanta, Dallas and Kansas City will all have that by May?